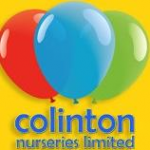 Colinton Private Nursery has the principle objective of providing meaningful education and care within a safe, friendly and caring nursery environment. We are open from 8am till 6pm Monday to Friday and are registered to take 59 children by Care Inspectorate. Our fees are paid in advance and are calculated over 50 weeks per year. We are also able to offer grant funding for children aged 3 years to 5 years. Below are the latest reviews for Colinton. Please note that reviews represent the subjective opinions of other Childcare.co.uk users and not of Childcare.co.uk. Parents must carry out their own checks and references on childcare providers to ensure that they are completely happy before enaging in the use of their services. My daughter has been at the nursery a few months now and has settled very well. The staff always have a smile and friendly welcome. Nothing is to much trouble for them. I would highly recommend Colinton Nursery.